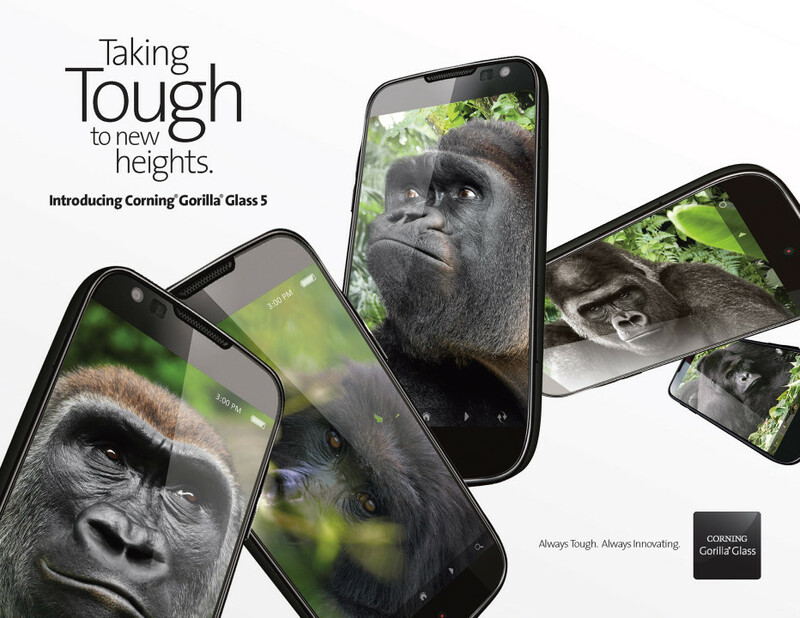 The US maker of reinforced glass Corning has presented the fifth generation of its Gorilla Glass product, commonly used in smartphones. The presentation, however, has been a strange one since Corning has shared just a few details on the specs of Gorilla Glass 5. As expected the new protective cover is better than the older fourth generation – Corning says that Gorilla Glass 5 is 80 per cent tougher than Gorilla Glass 4 and when a smartphone gets dropped from 1.6 meters (about 5.5 feet) in 80 per cent of the cases the display will remain intact. Corning also says that Gorilla Glass 5 is four times more durable than the best similar products the competition has to offer. Unfortunately this is all we get as information but undoubtedly there will be more details down the road and especially when the first smartphones with Gorilla Glass 5 appear on the market.